Last year, season seven’s episode four and its script appeared online before it was officially broadcast. Game Of Thrones star Richard Dormer has hit out at “annoying” leaks about the TV show and suggested some could be done on purpose. The eighth and final series of the hit show is due to air on HBO and Sky Atlantic from April 2019 and Dormer, appearing on Sky News, refused to reveal any details about it, joking “they would kill me”. The actor, who plays Beric Dondarrion in the fantasy drama, said it was annoying that leaks surfaced on the internet as “we want fans to see it on screen and go, ‘Oh my God, I can’t believe it'”. But he said the leaks were “good for the show”. Dormer, from Lisburn in Northern Ireland, was speaking ahead of the start of the third and final season of Sky Atlantic’s Scandinavian thriller Fortitude, in which he plays police officer Dan Anderssen. He said he was going to miss the role, calling Anderssen a “brilliant character”. He also praise the sense of humour in the show, adding: “It kind of makes sense to me”. “As long as you are wearing the right clothes and have a nice big furry hat you will be absolute fine,” he added. Fortitude starts tonight on Sky Atlantic at 9pm. Happy New Year from Richard Dormer fan! I have added these gorgeous new photos to the Gallery to start the new year. I can’t wait to see what projects Richard will work this year. We have the final series of Game of Thrones starting in April. I think Beric’s days are numbered BUT we will have to wait and see. Not sure what photographer has take them but they are featured on Imdb.com and United Agents. 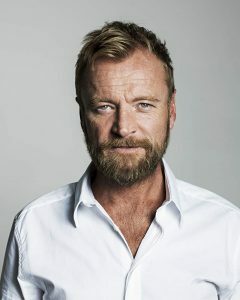 Fortitude is back for a third and final series, and Portadown-born actor Richard Dormer is really going to miss playing sheriff Dan Anderssen. He talks to Georgia Humphreys about relating to his character’s difficult journey, and how filming the show has been a cathartic process. It’s impossible to ignore how emotional Richard Dormer feels about the end of Fortitude. Tears suddenly start rolling down the Northern Irish star’s cheeks as he discusses the Sky Atlantic sci-fi thriller. 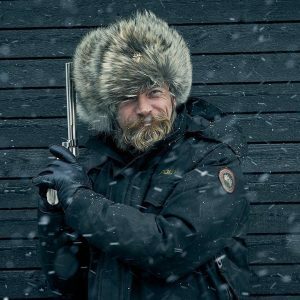 Now in its third – and final – series, the 49-year-old plays the mad and sinister Sheriff Dan Anderssen, who’s at the centre of the crazy goings-on in a close-knit community in the Arctic Circle. “Some characters, some jobs, some souls you can relate to,” Dormer says candidly, as he dabs at his eyes and tries to pinpoint exactly why this has “been the most emotional” shoot he’s ever done. “Just personally, in my life, I’ve been going through tough times and this guy is doing the same thing. He’s trying not to lose himself. But filming the series, which was created by Simon Donald, has been “cathartic”. “It’s therapy time for me,” says the actor, who’s also known for his role as Beric Dondarrion in the HBO series Game Of Thrones. He also wrote and performed in a one-man show based on the rise and fall of troubled, Belfast-born snooker genius Alex Higgins. Dormer explained that he decided to write the play after meeting Higgins in a train station in Dublin and discovering that he reminded him of himself as a young man. Dormer won the BBC Stewart Parker Award for New Writing and The Stage Edinburgh Fringe Best Actor award for Hurricane. So far in Fortitude we’ve seen a lot of deaths and some bonkers storylines, such as a killing spree by a parasitic wasp and the rampage of a shaman seeking revenge. And Dan – having survived the parasite and a host of other traumatic events – has lost his way. The new episodes will see the complex character struggling to hold on to any sense of good and evil. He’s also seeing ghosts – and things that others can’t see. Dormer continues: “As well as being addicted to every substance on the planet, he’s now addicted to muscimol juice. When reindeer have eaten fungi and they pee, people collect the pee. Eskimos used to actually do this to be able to have visions of the afterlife or the land of the dead. The final instalment of the show, which also stars the likes of Dennis Quaid, Luke Treadaway and Sienna Guillory, was shot in Svalbard, Norway. At times, the weather dropped as low as -35 degrees, or -50 with wind chill. How did he find it being in a much colder environment for this series? “If you take your glove off to light a cigarette, within 20 seconds it hurts,” he admits. But there’s no denying this added element of danger helped with his performance. “I think everybody just got tougher and meaner and then whenever we do the interiors, when it’s warm and cosy, out comes this extreme gentleness and love, so you get those extremes. The show isn’t an easy watch, with its heavy themes of loss, death and identity. But it has amassed a huge cult following, perhaps for the clever way it balances elements of horror (expect some gruesome scenes) and sci-fi. It also feels “kind of Greek”, says Dormer. “Dan is kind of Prometheus because he’s stolen this gift … he’s stolen the power to regenerate, to become godlike, and with that power of course comes the responsibility. It’s about how a human being deals with that. It may be time for him to say a sad goodbye to the role, but at least Dormer is going to keep a prop to remember Dan by – his gun. “It’s the best gun on television,” he boasts. Fortitude is a job Dormer has clearly relished in more ways than one. “I’m really going to miss it because it’s like Dan’s my best friend,” he says. “He’s a monster, but I play him like nobody’s truly a monster. There’s a deep humanity in him and I think that’s what makes him interesting. Cinemax’s new limited series Rellik follows the hunt for a serial killer who uses acid to kill his victims. The title of Cinemax’s new limited series Rellik, or “killer” spelled backwards, is nod to its unorthodox narrative. The story quite literally starts at the end where a presumed serial killer is unjustly shot dead. From there, the story works its way back in time. The first time the show’s star Richard Dormer read the script, he said the structure dizzied him. “I kind of got used to it toward the end of the second episode. Then I was mystified and drawn in,” he told Den of Geek. Dormer, perhaps best known to American audiences for his turn in Game of Thrones, has worn the badge on TV before, starring as a police chief in the British cop drama Fortitude. Accepting the lead role of Gabriel in Rellik posed a different challenge for Dormer. The character is a detective who is physically deformed after a brutal acid attack, but presses on with the investigation to take down the serial killer who nearly murdered him. What stood out to Dormer about the script was the amoral protagonist, a man damaged on the inside as much as he is on the outside. 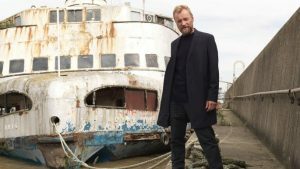 Yet Rellik doesn’t fully rely on the antihero-like characterization, but puts a rather unique spin on the crime drama with its story structure. The first thing the audience notices about Gabriel is his physical appearance. With much of the character’s face deformed, Dormer would sit in the makeup room for two hours to put on the prosthetics. On the longer days of shooting he had to wear it for nearly 11 hours. Stepping into character became a physically and emotionally exhausting process, what Dormer calls the hardest shoot he’s ever done. Unfortunately life did mirror art. Around the same time they were shooting the show, stories surfaced of acid attacks in London. It was unnerving for Dormer. And to stay inside Gabriel’s mind for long periods of time became an emotionally taxing experience. 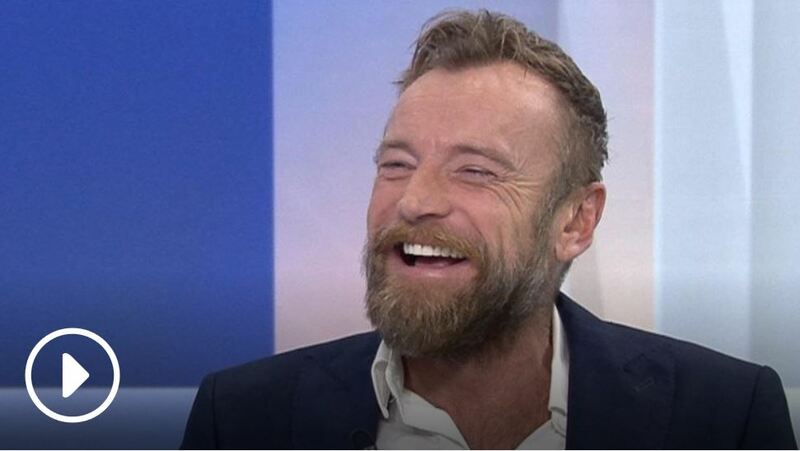 Richard Dormer gave up on acting three times before rediscovering his love for the job with a little help from a flaming sword in Game of Thrones, the Northern Irish actor tells Eithne Shortall. On entering the Belfast pub where I am meeting Richard Dormer, all eyes turn to me. The staff have been watching the door; they want to know who is here to see the celebrity that arrived a couple of minutes earlier. “Are you a journalist?” asks the bartender. Sitting in the smoking area of the Sunflower pub with a mug of coffee and a packet of cigarettes is the 47-year-old actor who used to pass unnoticed. Then he got a recurring role in Game of Thrones — and his character was given a flaming sword. With a lived-in face juxtaposed against perfect white teeth, and wearing a tieless suit with a few shirt buttons undone, Dormer has an aesthetic reminiscent of the morning after an enjoyable awards ceremony. It fits the rugged charm shared by most of his characters, although this will not be immediately evident in his next starring role. Rellik (“killer” spelled backwards) is a BBC drama about a spate of acid attacks being investigated by a detective who is himself a victim. The story is told backwards, and filming involved Dormer sitting in make-up for two hours each morning as three-quarters of his face was covered in prosthetics. “They would never have given me Rellik if I hadn’t done Fortitude, because they saw I could carry a show,” he says. The first time he quit was in his twenties; straight after finishing a West End show, he flew home to his parents in Armagh. “I needed to get away from that intense life, that London life. I didn’t like the entertainment industry, I didn’t want to be part of it and I didn’t want to lose myself. I do think there are some people in this business who shouldn’t be in it; emotionally they’re not strong enough. And I wasn’t back then, so I think it was quite wise to do what I did. Finding his agent changed things. Dormer has not done theatre for seven years. He considers himself an emotional actor, someone who lives the part rather than acts it. He does not practise method acting: “What are you going to do if you’re playing a serial killer — go out and kill somebody?” Instead he believes in the character he plays, until part of his psyche is convinced it is real. Dormer’s wife, Cork-born Rachel O’Riordan, is artistic director of a theatre in Cardiff. He declines to say how they divide their time geographically, but he owns a house in Belfast. He spends most of the year in London, or wherever he is shooting. Currently that means Northern Ireland, and then Iceland, for Fortitude’s third season. “That’s me working until next June,” grins the actor, delighted to be proof that life does begin at 40. Welcome to Richard Dormer fan. 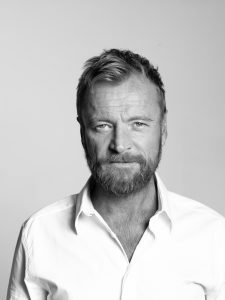 The number one fansite supporting the career of actor Richard Dormer, most known for his roles as Sheriff Dan Anderssen in Fortitude and Game of Thrones . This website will provide you with the most up to date news, projects, images and so much more on Richard's career and appearances.